1958 was a pivitol time for TVR and Saidel Sports Racing cars. 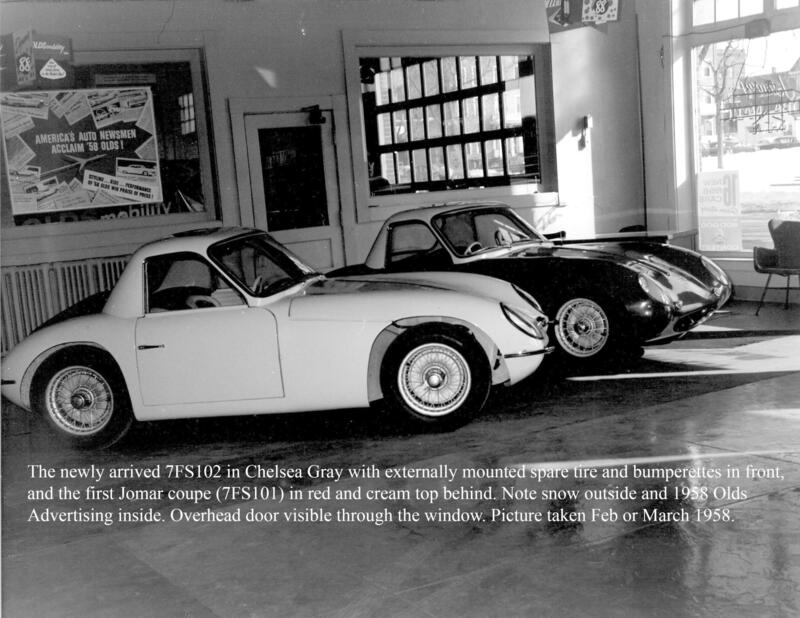 In February the Merrimack Street Garage recieved the last 2 of its 4 TVR notchback coupes. All were right hand drive. Chassis 7/FS/101 (pictured above in the backround) was finished in red fiberglass resin and paint while 7/FS/102 (foreground) was finished in Chelsea Gray. Both were powered by 1172 flat head Ford 4 cylinder engines with a Shorrock Supercharger and a 3 speed non-synchromesh transmisison. The cames came with no radios, heaters or defrosters. Ray Saidel had Lou Turner go to the junk yards to procure Studebaker side body vents and installed these into all the copues as well as heaters and a radio. 7/FS/101 is currently in restorationafter a long career in autocrossing and SCCA racing up to the early 1970s. The body was heavily modified. 7/FS/102 was traded in to the Merrimack Street Garage in 1959 at was raced and autocrossed by Webb Bridges and Jilson who both worked at the Merrimack Street garage. The car was burned in a fired and assumed sent to the junk yard. The other 2 chassis were 7/C/107 and 7/C/108. These were not painted and came without engines. The 7/FS (Ford Supercharged) chassis had a wider engine bay than the 7/C (Climax). This was accomplished by placing the upper gussets on the inside of the longitudinal frame tubes on the FS chassis, and on the inside for the Climax chassis. 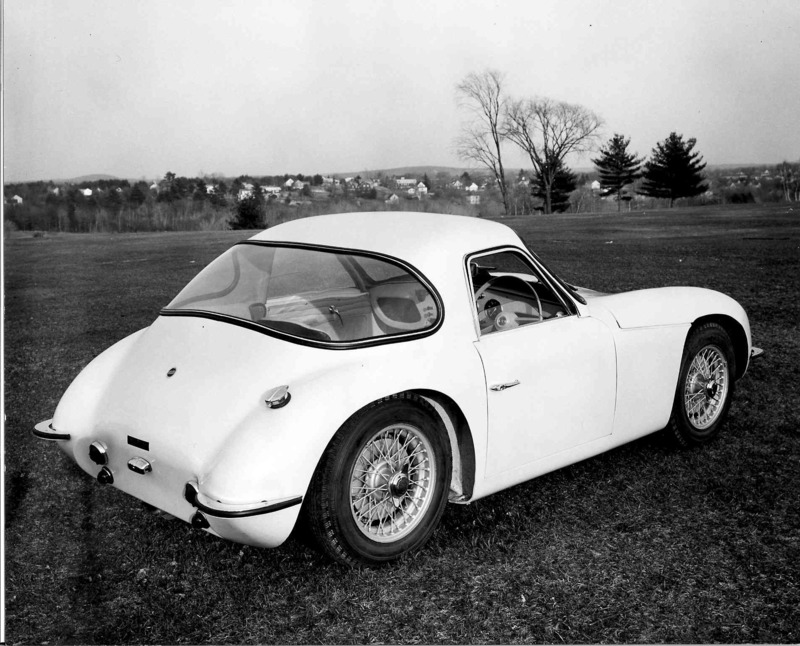 During the winter of 57/58 TVR had been hard at work converting one of it's notchback coupes to a fastback at the request of Ray Saidel. 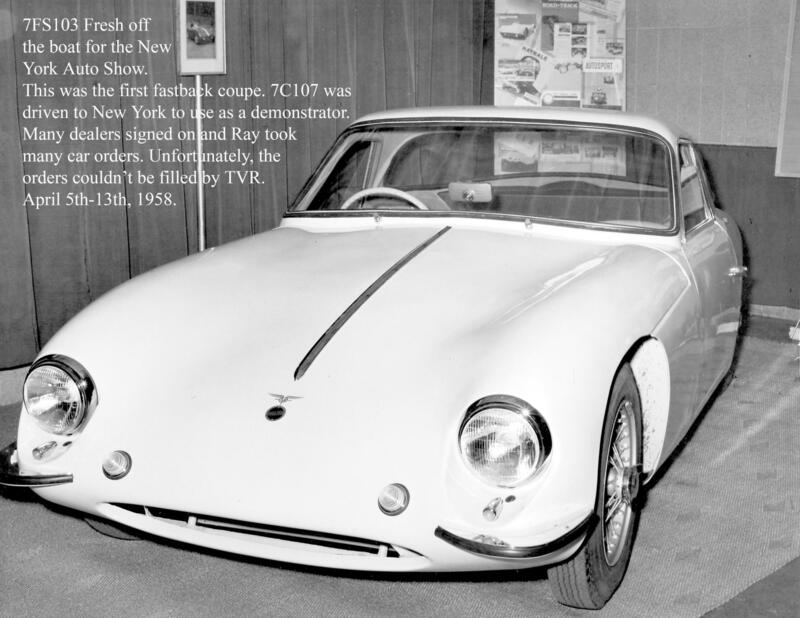 Ray had secured a spot at the New York Auto Show and the car was so late that TVR shipped in directly to the docks in New York and it made the show. Ray had also driven Notchback coupe 7/C/107 to the show to use as a demonstrator. Ray had Lou Turner and Norm Leeds install the Climax drive train from 7/C/101 which had been wrecked at VIR the previous August by Ray Heppenstahl. Ray Saidels Jomar was positioned in spot #23 which was right next to position #1 Ferrari!!! Ray signed up many dealers at the show but unfortunately TVR would not be able to fill the orders and worse yet what orders were filled were returned to Ray for poor fit and finish and other trim issues.